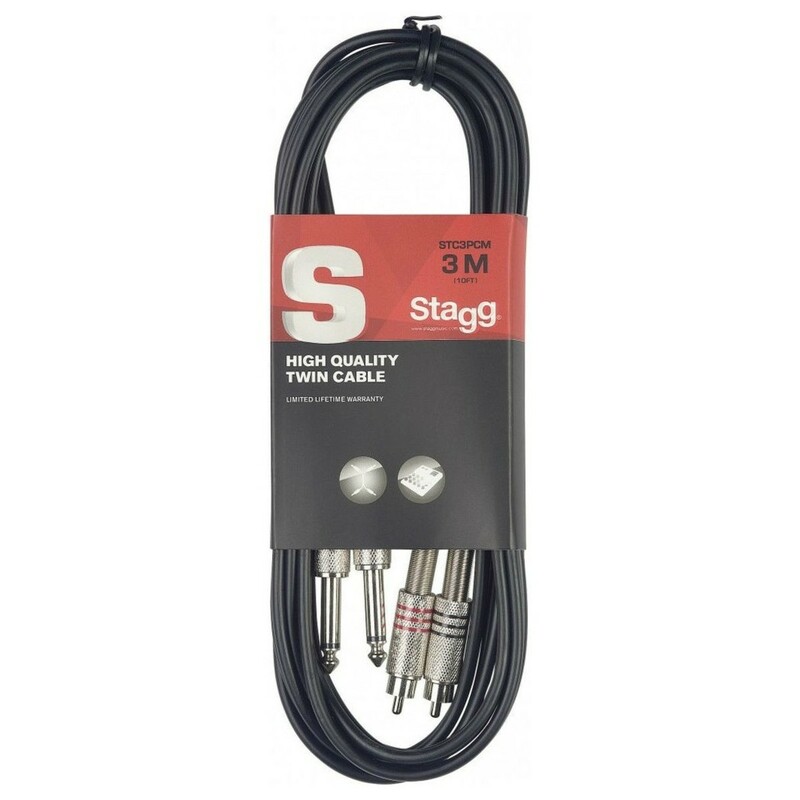 The Stagg 2 x Male RCA - 2 x Jack Lead - 3m is a high-quality twin jack to RCA cable measuring at 3 metres in length. The Stagg RCA features two cables for stereo connections, with high-quality connectors for optimal signal integrity. The simple yet robust design is ideal for both audio equipment and patching applications. The connectors are jack male to RCA male, and the cable is compliant with the RoHS directive.